yiannis krikis (thessaloniki, Greece) on 23 October 2011 in Cityscape & Urban and Portfolio. wonderful and makes me wonder what's behind the gate ..
Well composed this bw ! I like the different textures that blend and yet differ due to this black and white. Nice. Again, you do great black and white. 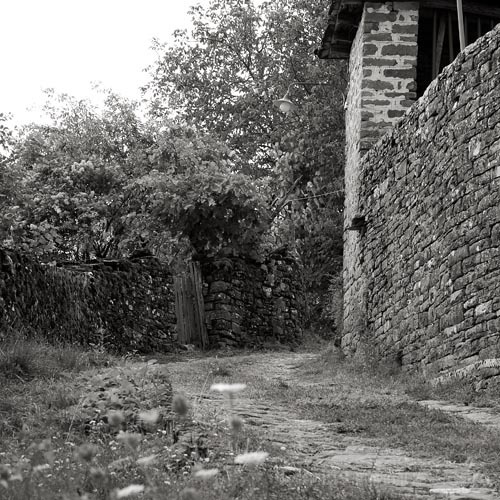 Nice composition...love the pathway along the stone building, great b/w! A rugged stone path many centuries old it seems. Lovely detail in that wall. Nice B&W and a great perspective looking up this trail.